Tokyo is an exciting city with many things happening all the time. If it’s your first time, I really recommend you stay at a hotel in Asakusa (Google Maps), so you’re close to the rickshaws, Sensoji temple, kabuki theaters, the vibrant restaurant districts that are typical of Japan (but these ones have English menus), and a casual walk to Tokyo Skytree Tower. 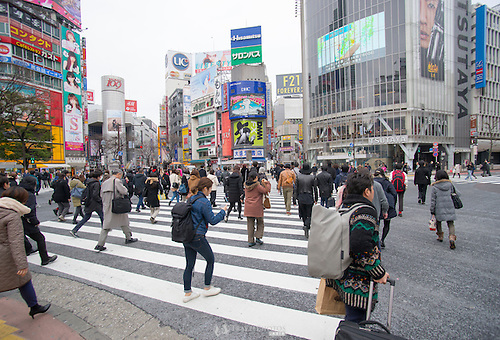 This is the crossing that has featured as “Tokyo” in various movies including Resident Evil, and the crossing has it’s own Wikipedia entry (Wikipedia). It is said that in peak hours about a thousand people cross at each light change (every two to three minutes). I guess this is in the evenings when office workers are leaving, and nightlife establishment workers are going to work; and of course people going for a night out with colleagues. You can witness this fascinating coordination of people scrambling from the Loccitane Cafe (pictured, the yellow place behind the tree), the Metro station, or Starbucks 2nd floor in the Tsutaya building (pictured, to the right). In the Starbucks, you might be lucky enough to get a rarely available window seat. On the second floor of Starbucks, you’d have to figure out who is camped out for a few hours, and who are there just for the view. The ones who are there for the view will probably be bored after about half an hour and leave. Be ready to grab your tray and claim a spot quickly. Interestingly, “Tall” is the largest size this Starbucks serves. Sensoji Temple is in Asakusa near the Asakusa Metro station on the Ginza Line. It is perhaps the oldest or first religious site in Tokyo, and the most visited tourist attraction. Despite the ominous promise of crowds, it’s not that bad, and other tourists are nice and respectful. 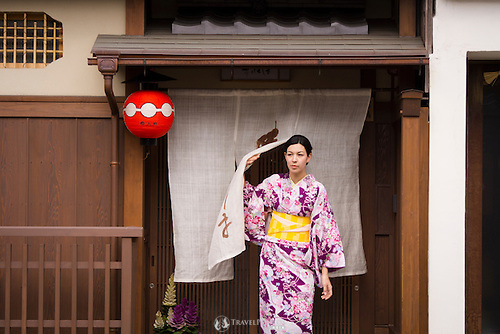 It is possible for men and women to rent a kimono for the morning, afternoon, or the day in Tokyo and Kyoto. The best place in Tokyo is probably in Asakusa, near Sensoji Temple. It’s a small area, and so you don’t have to walk far wearing it to all the great photo ops. 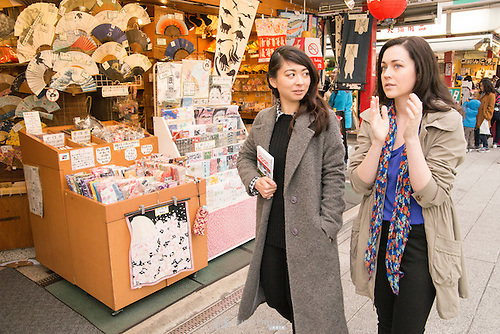 A model of mine has written about this experience before, see here for Mariko’s kimono story. DON’T do McDonalds! Ramen is a cheap, classic, healthy, and hearty food. It’s quick and easy to order, and is a real friend to weary travelers at the end of a long day. 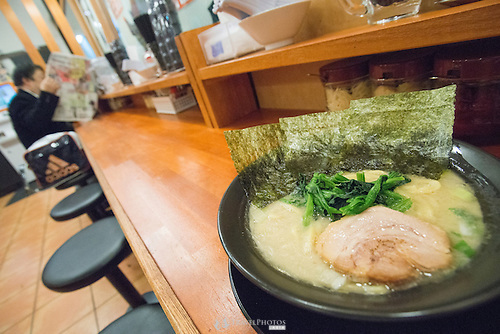 Also see previous blog posts on food, including ramen and sushi blog posts. Tickets go on sale about two months before the tournament, and can sell out very quick. It is possible to book tickets online in English. 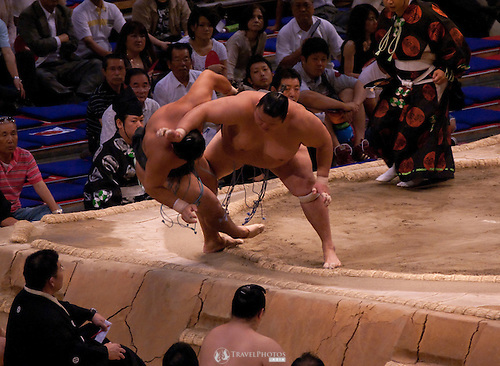 See previous blog posts for more info about sumo. Rickshaw rides are best had near Sensoji Temple, Asakusa. The rickshaw pullers have some English language abilities, lots of energy, and will tell you about the neighbourhood they’ll take you through, with lots of unique photo ops you’ll never get back home. They can even give you some additional advice and perhaps discount offers for other unique Japanese things like tea ceremonies and more. 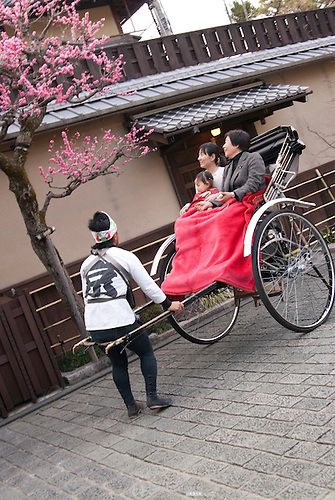 A rickshaw puller and his rickshaw and customers viewing the plum blossoms in Kyoto. I’ve only been to Tokyo once for two short days, and couldn’t even scratch the surface of this busy city. 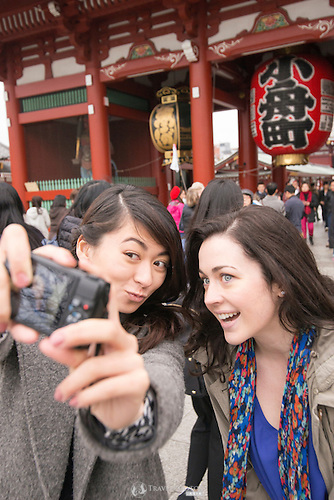 There’s lots more to see and experience, including maid cafés, kabuki, Japanese tea ceremonies (held at some hotels), restaurant pubs, the city view from the Mori Building, and lots more. My advice is spend at least a week there, and may be do a day trip to Mt Fuji. Finally, make plans to go back for more exploration.